We've been doing some house hunting lately, so one of the things that's really been on my mind is how to make your home "shine." As I'm walking through these homes, I'm often thinking about how each home would be shown off better with just some easy, inexpensive tweaks. Here are some of the things I've seen so far and how I would change them if it were my home to sell! I don't want to seem like a know-it-all here, so please take these as just my personal opinions. Everyone has different circumstances when selling their homes, but this is just what we would do if we owned these homes. Many of the homes we've toured have felt dark on the inside. We aren't all blessed with floor-to-ceiling windows (especially in older homes), but we can do our best with what we have. Turn on all of your lights and open all of your windows! Most people want a home that feels light and bright, airy and expansive. If you have all of your lights on and it still feels dark, consider investing in light bulbs with higher wattage. For example, I just toured a master bathroom that had a ton of light fixtures, but they were all very low wattage. I think the goal was to add dim mood lighting for long soaks in the bathtub, but the recently renovated bathroom would have looked so much better with brighter lights! 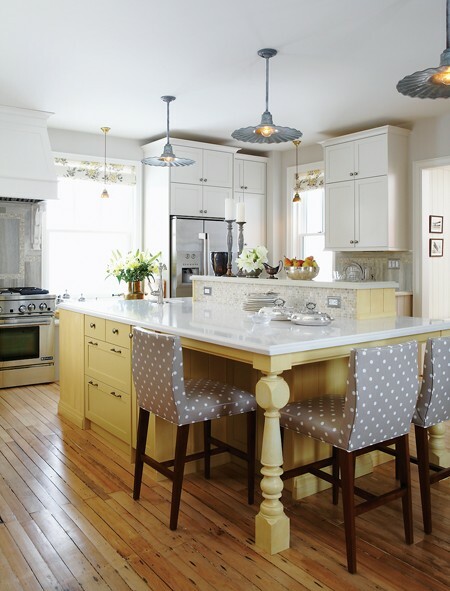 You know what we (buyers) think when we see a house that feels very cluttered? You must not have enough room for your stuff. That makes me think your home doesn't have a lot of storage or perhaps not enough closet space, which means we won't have enough room for our stuff if we bought your house. That's a negative right off the bat. Sometimes it's as simple as putting stuff away. We toured a home recently with a pretty fabulous laundry space, complete with a whole wall of cabinets, a built-in desk, etc. The only problem was you couldn't see any of the cabinets or the long counterspace because it was covered in a heaping pile of dirty laundry! 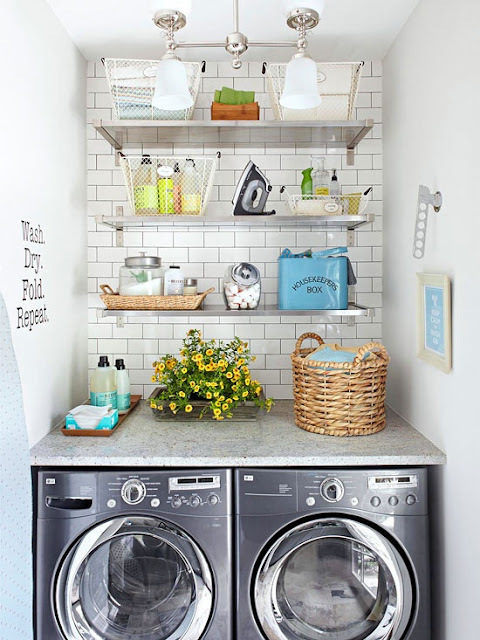 That laundry room was a great selling feature, but they were completely covering it up. 3. Play up your home's best features. I can think of two homes recently where I was completely shaking my head because they had failed to do this. In the first, the home had a big pool with a huge back patio. Major selling point, right? Buyers should have pictured themselves lounging on pool chairs with margaritas and then rushed to ask their realtors where to sign. However, this back patio and the area surrounding the pool was filled with mismatching, junky patio furniture and dead plants. Dead plants just don't help a space look its best! Putting just the slightest bit of love into that outdoor space probably would have sold it in a heartbeat. Sweep winter-y debris off the patio, get rid of any dead plants, think about removing the rusted BBQ grill that hasn't been used in ages. If possible, rent or buy a patio set that helps people envision the luxurious life they could live in your home. I know sometimes there isn't money for new furniture to stage a home, but the nice thing about investing in furniture before you sell is that you can usually take them with you when you go to your new home. Another home we toured had a really beautiful floor-to-ceiling stone fireplace. It was the showpiece of the home, for sure. However the couch was plopped right in front of it, with its back to the fireplace! The arrangement of the room completely blocked the view of the fireplace when you walked in because these homeowners had arranged the room to center around the TV, not the fireplace. 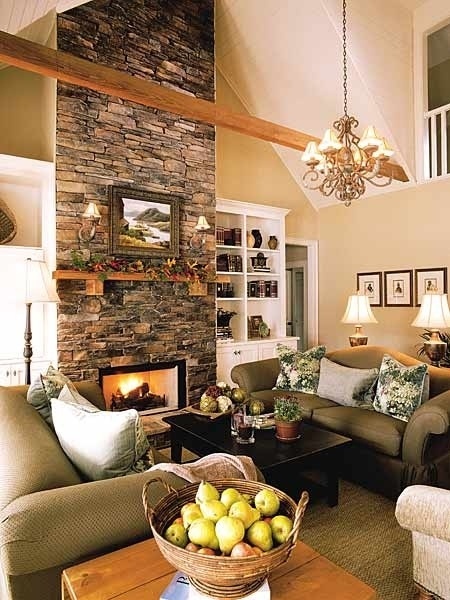 I thought that was a big shame because the fireplace was my favorite part of the house and buyers ideally should be drawn to it as soon as they walk in. 4. Carpet isn't always your best friend. Another trend I've seen in the homes we've toured is that several home owners put down brand new carpet before they put their homes on the market. I understand that carpet is one of the cheapest flooring options, but I feel like a lot of people don't want carpet anymore. My husband and I keep saying, "What a shame, we'd have to tear up all that brand new carpet right away." We have dogs, and the carpet would soak up the smell of our pets. Surely we can't be the only potential buyers who wouldn't choose carpet? I would rather have a flooring allowance to pick out our own floors once we bought the home. While on the subject of flooring, we have seen many homes with more than 5 different types of flooring in the house– and these aren't really big houses. Vinyl in the kitchen, laminate in the dining room, carpet in the living room, a different laminate in one bedroom, and so on and so on. It raises concerns in my head about trying to make the home feel cohesive once we bought it. Would we have to replace all of the floors? Will the flooring levels be uneven because they are all so different? What sort of headache are we signing up for here? There may be some buyers who overlook having different types of flooring, but I know it would be a bonus for us if we saw only a few different types of flooring in the home (for example, laminate or hardwood floors in the main living areas and carpet in the bedrooms). At least, it does to my husband. Want a man to fall in love with a house? Show him a well-kept garage with great storage. He'll start picturing his toys in your garage, his car parked in that space, his tools lined up neatly in your workshop. Women fall for the kitchen; men fall for the garage. If you're blessed with a big garage with built-in shelving, a workshop, anything along those lines– play it up! Put bright lights in there so we can see it. 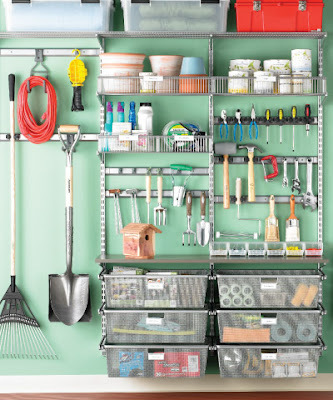 Organize your tools neatly to show off the great storage options. It's a great selling feature for many men out there (and women, too).